Anglian Potters welcomes visitors to one of the largest collaborative exhibitions of ‘all things clay’. Come and browse, meet the potters and enjoy the vast range of contemporary and traditional ceramics on show. With everything from hand-thrown studio pottery to wall-mounted pieces, jewellery and sculpture for indoors and out the exhibition is sure to be a riot of colour, texture and shape. And, as this is a selling exhibition, purchases can be removed on the day. The Undercroft Gallery is under the Memorial Gardens in the centre of Norwich. 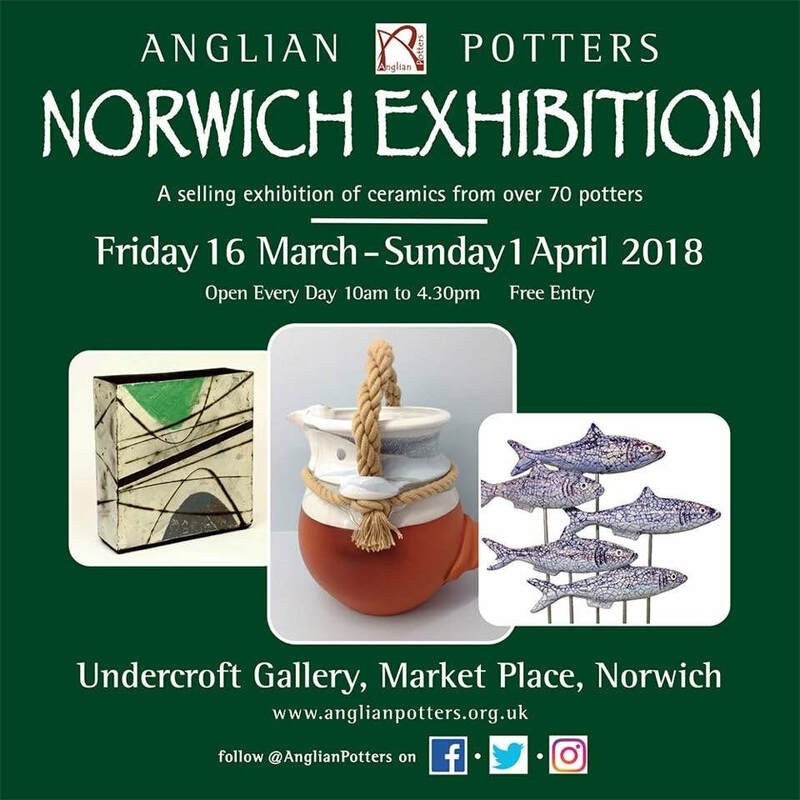 Look out for Anglian Potters banners near the entrance at the back of the market.